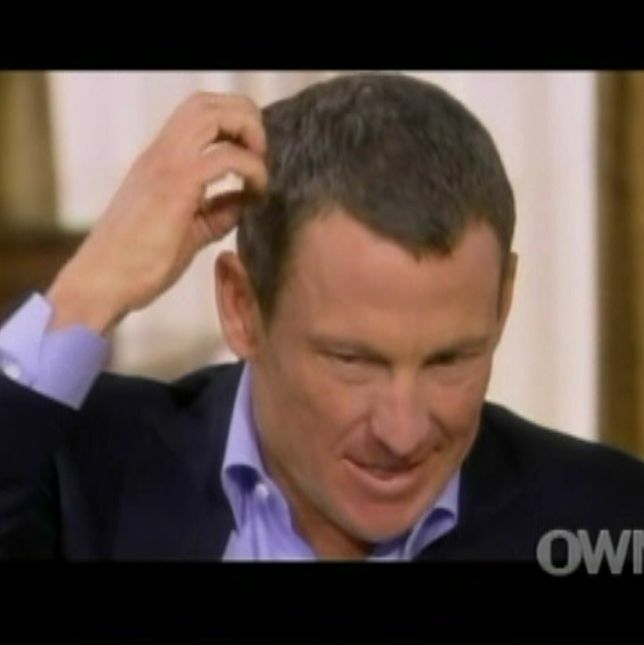 His persistent poker face had many of us fooled, but last night Lance Armstrong delivered his doping mea culpa directly to Oprah Winfrey. He twitched and grimaced, but did not cry, even in the face of questions that got as detailed as — “You would all be dumping the syringes in coke cans, is that true?” — or as uncomfortable as — “You used the whore word [against ex-masseuse Emma O’Reilly, who Armstrong sued, knowing she was telling the truth]. How do you feel about that?” Oprah also had Lance Armstrong watch his taped denials from the past, upping the squirm factor. Catch his reactions straight ahead.